KINSHASA, Congo — The World Health Organization and its partners shipped more than 6 million yellow fever vaccines to Angola in February to quash an emerging epidemic, yet when they asked country officials the following month what happened to the vaccines, they discovered that about 1 million doses had mysteriously disappeared. Of the shipments that did make it to Angola, some vaccines were sent to regions with no yellow fever cases, while others arrived at infected areas without syringes. In neighboring Congo, some vaccines weren't always kept cold enough to guarantee they would be effective. 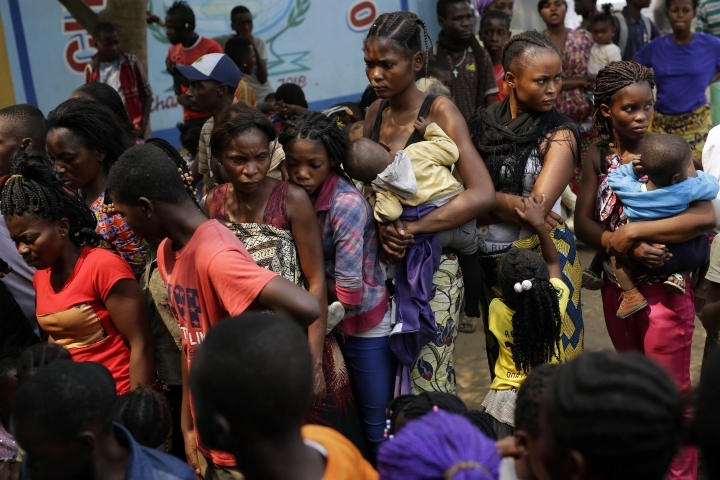 This lack of oversight and mismanagement has undermined control of the outbreak in Central Africa, the worst yellow fever epidemic in decades, an Associated Press investigation has found. 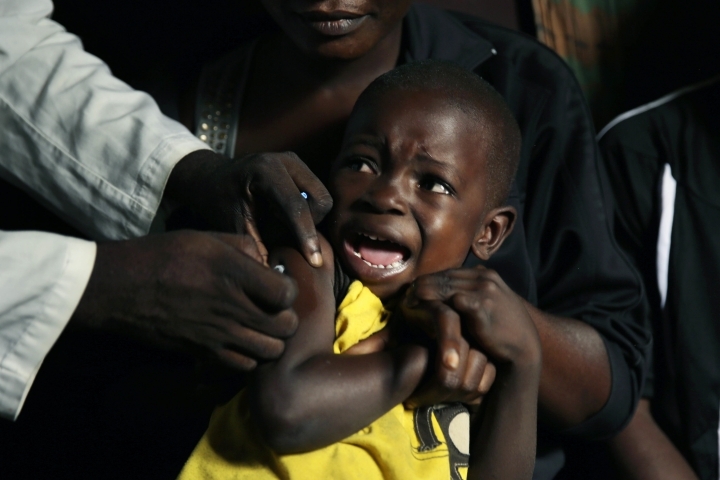 There is now a shortage of vaccines so severe that WHO has recommended doses be diluted by 80 percent to stretch the supply, even though there is limited evidence they will be effective in African populations. "WE HAVE A MAJOR PROBLEM ON OUR HANDS," UNICEF's Robert Kezaala wrote in capital letters in a June email to his colleagues at WHO, Doctors Without Borders and other partners. 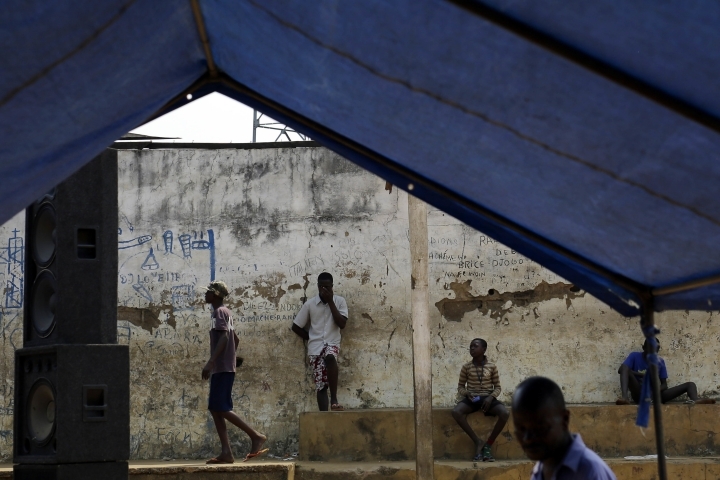 WHO vowed after its fumbled response to the 2014 Ebola epidemic in West Africa that it would adopt a "no regrets" policy to better manage future disease outbreaks with its partners in other health organizations and national governments. But according to hundreds of pages of internal emails and documents obtained by AP, the U.N. health agency is facing many of the same problems that compromised its handling of Ebola, an outbreak that killed 11,000 people in three West African countries. 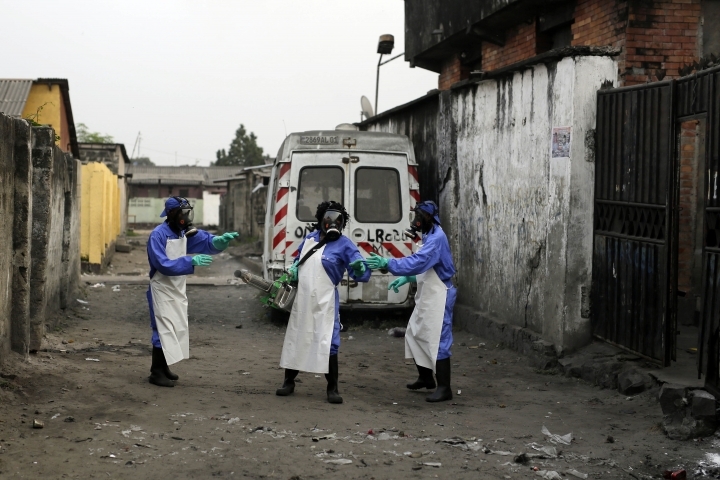 Health officials now estimate they will be short millions of doses to fight an epidemic that has also spread to Congo. To date, yellow fever is estimated to have caused upward of 5,000 cases and at least 450 deaths. More than 18 million vaccines have been sent to the continent, far short of the 40 million doses some experts think are needed to contain the outbreak. 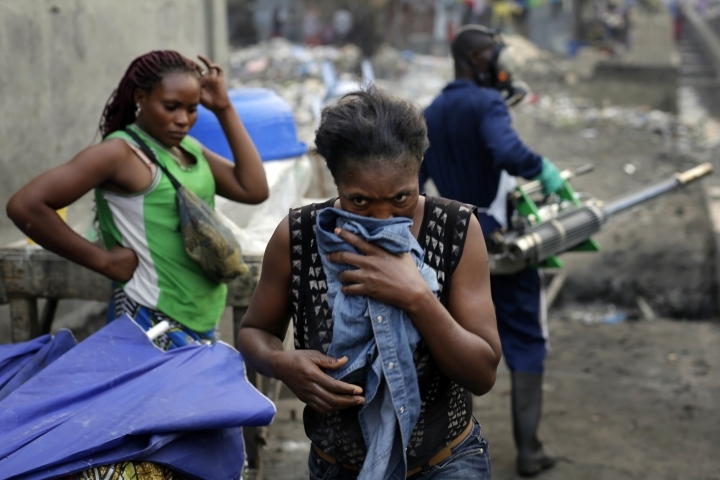 Some of the most vulnerable areas of Congo's sprawling capital have been vaccinated, but millions of people still are waiting for doses as fumigation teams spray crowded neighborhoods in an attempt to kill the mosquitoes that spread the disease. "People are very afraid," says Dr. Ernest Mumakubwidi, who treats patients out of a tiny cement-block neighborhood clinic in Kinshasa. "They won't be able to vaccinate everyone — that is clear." 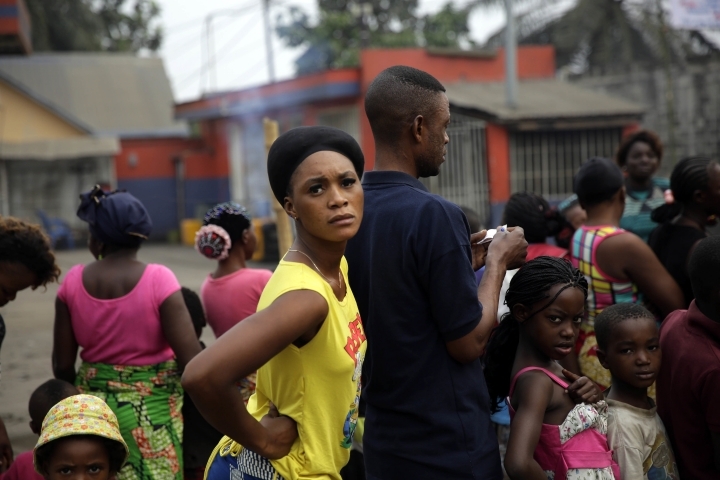 Amanda McClelland, a senior emergency official at the International Federation of Red Cross and Red Crescent Societies, or the IFRC, said the crisis is a repeat of WHO's mismanagement of the Ebola epidemic in 2014. "It was the same people at WHO that made the initial calls during Ebola and it was the exact same response: We've got enough, we don't need any help and it's all under control." Dr. Bruce Aylward, who directed WHO's Ebola response, acknowledged that more changes are still needed to enable WHO to respond more quickly to complex emergencies, even though he said the agency has made substantial reforms in the past two years. "It would be a mistake to think that WHO is now ready," he said. "I think a lot of things are better but I don't think we're there yet." "A DISASTER FOR THIS COUNTRY AND THE REGION"
Unlike Ebola, yellow fever is not highly contagious and is easily prevented with vaccines. The virus is transmitted by the Aedes aegypti mosquito, the same species that spreads Zika, dengue, and chikungunya. Once infected, people often fall ill with fever and muscle pain, but many recover after several days. Others, however, suffer a more toxic phase and can develop jaundice, as the virus attacks the liver and kidneys. In the worst cases, patients bleed internally in their digestive systems, becoming delirious before dying. According to WHO, the death rate for reported cases is between 15 to 50 percent. Yellow fever has largely been eliminated in developed nations after vaccines were developed in the 1930s, but outbreaks continue in Africa and Latin America. For countries that cannot afford broad vaccination programs, a consortium was formed in 2001 by WHO, the International Federation of the Red Cross and Red Crescent Societies, Doctors Without Borders and UNICEF. Their role is to dole out the global emergency stockpile of about 6 million vaccines, which cost less than $2 each. Until this outbreak, the consortium had never before used more than 4 million doses in any one country. Four companies produce yellow fever vaccine for WHO and its partners, and as the outbreak worsened, officials pressed manufacturers to rush the production of more. In early February, a senior U.N. official alerted other colleagues that cases were nearly tripling every week. "WE MIGHT (FACE) A DISASTER FOR THIS COUNTRY AND THE REGION," Paolo Balladelli, the U.N. coordinator in Angola, warned in an email. 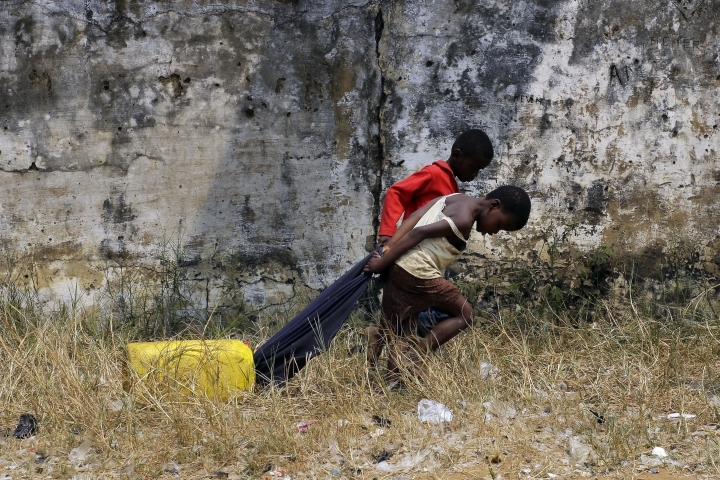 On February 12, WHO announced Angola had a yellow fever outbreak in its capital, and along with its partners, sent more than 6 million doses for a vaccination campaign targeting Luanda, more doses than are usually contained in the emergency stockpile. To verify that the vaccines had reached those who needed them, health officials asked Angola for a detailed accounting of their use. The answer: 1 million doses had disappeared — "evaporated" — probably taken by "friend(s) and families of the local authorities," the "army" or resold in the "private sector," according to a WHO email to its partners. "How can this happen in a situation of (vaccine) shortage?" asked WHO's Sergio Yactayo, a Geneva-based yellow fever expert, in a March 4 missive to his colleagues at UNICEF, the IFRC, Doctors Without Borders and WHO. He lamented that there was no transparency in what happened to the vaccines. In a series of internal calls over the summer, health officials complained that shots approved for specific regions with documented yellow fever cases were sometimes used in areas that had no cases — without any explanation — according to sources familiar with the problem who were not authorized to discuss it. Experts complained that it was "pointless" to approve vaccine plans for Angola since the country was completely disregarding them. When asked about the million missing doses this week, WHO and partners described the loss as "not unexpected." 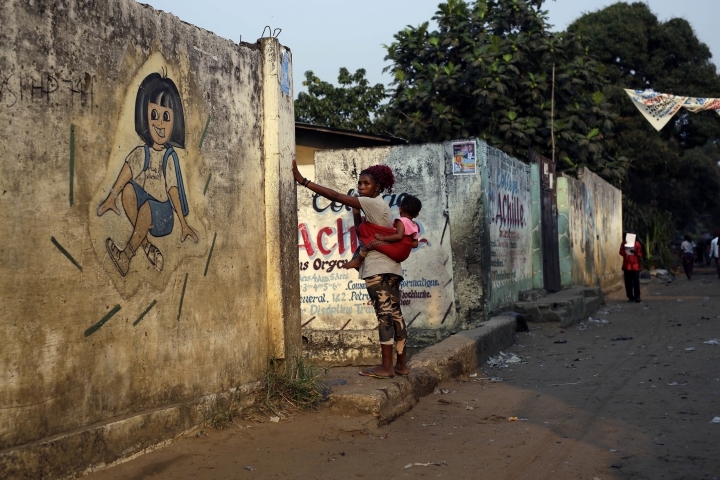 An emailed statement on behalf of WHO, IFRC, UNICEF and Doctors Without Borders said that "typically there is an expected 10 percent reserve factored in for losses and wastage in mass vaccination campaigns for yellow fever." Back in March, Yactayo and his colleagues noted that the "wastage rate" in Angola was nearly double what officials would normally anticipate. He wrote that in the early phases of the outbreak, Angolan authorities had not paid enough attention to registering who was vaccinated. "(I) agree it is not good, but (it's) the reality," he said, adding they had attempted to improve the situation, "but unhappily with little success." Though WHO and partners did not investigate what happened to the doses that disappeared, Yactayo reasoned that with an exploding outbreak in a crowded city, they had no choice but to send even more of the precious vaccines. "We cannot wait weeks (to) respond." By late March, neighboring Congo had also reported cases to WHO, making it critical that the limited stockpile be judiciously used. 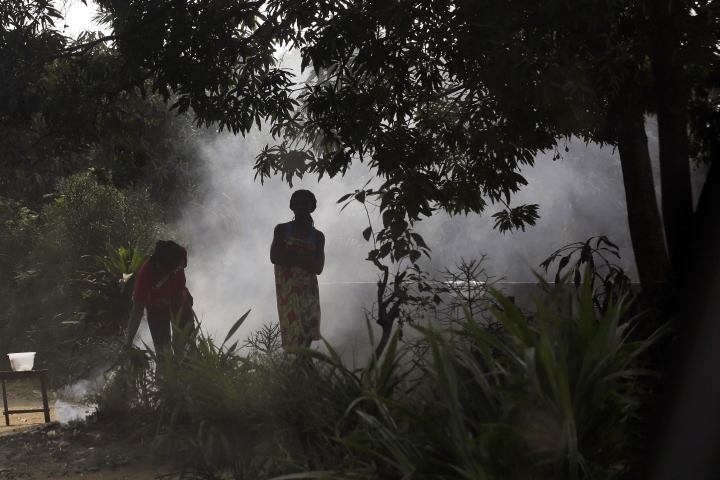 "Vaccine is the only way to control a yellow fever epidemic," said Dr. Peter Piot, director of the London School of Hygiene and Tropical Medicine. "This is where WHO should insist on accountability...they have to know how the vaccine is being used to know they are making the right decisions." WHO's Aylward said tracing the vaccines' usage is an "incredibly important issue" and that problems may have arisen because Angola was not accustomed to such epidemics. 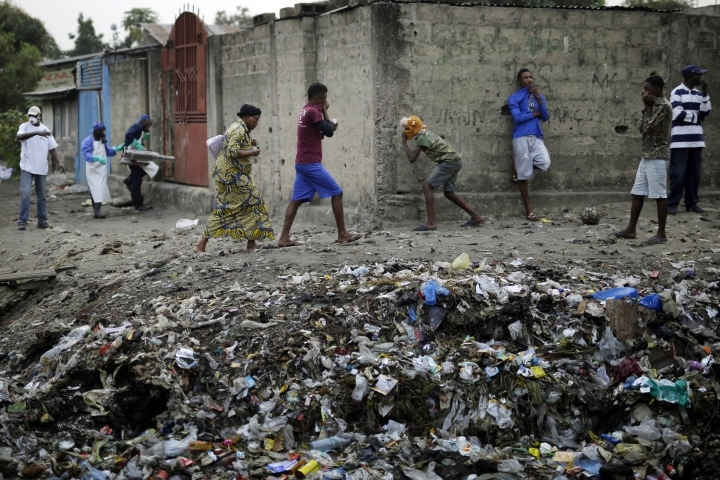 "When you see something new, such as an outbreak in an urban area of Luanda where you've not seen this for a long time, then you're concerned, can they move fast enough, is the health system strong enough to actually use this?" Aylward asked. He agreed it was problematic that not all of the vaccines sent to the country could be tracked. 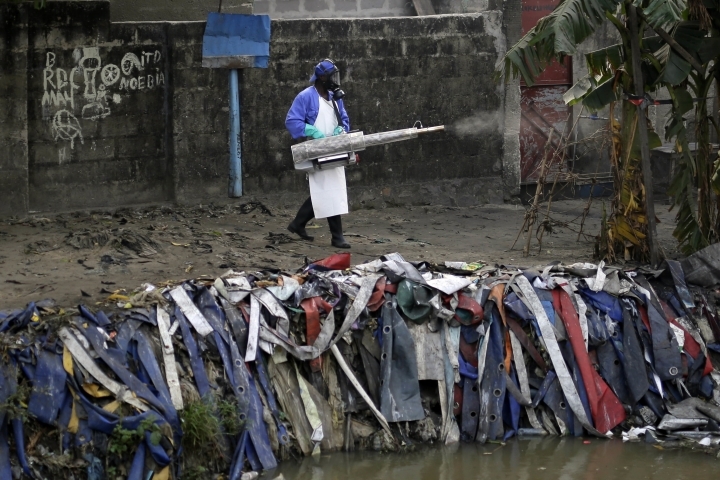 In Congo, the vaccines did not come soon enough for 41-year-old boat operator Guillit Mbwanga. In April, Mbwanga thought he had malaria and went to his local pharmacy over the weekend for medication to treat his fever and chills. Soon though, his eyes turned yellow from jaundice and by Monday, his whole body had a yellowish tone all the way down to his feet. By Wednesday, he was dead, leaving behind his wife Nadine and their 10 children. Mbwanga's medical file states that he likely died of yellow fever. "Now there is no one to take care of the children financially," says his brother-in-law Mitterand Manzambi. "His oldest daughter planned to go to university but who will pay for the tuition now? And what about school fees for the others?" 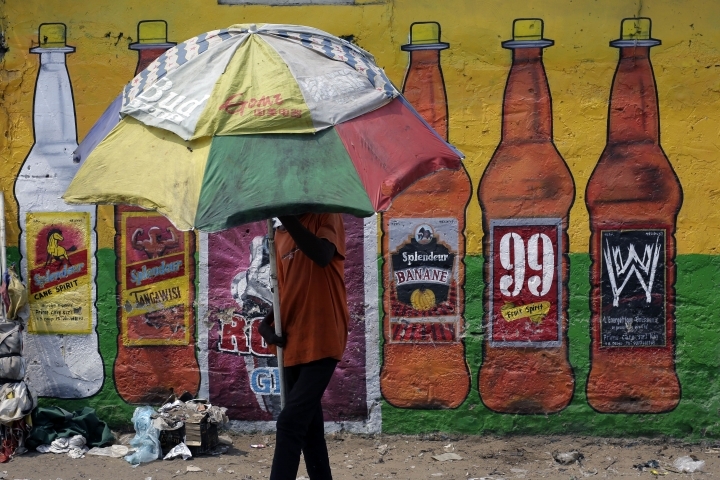 "LIKE HAVING A CAR BUT NOT PETROL"
As yellow fever tore through Angola and Congo, U.N. officials made a series of other mistakes that stalled control efforts. Ahead of a key vaccination campaign, WHO's country representative in Angola learned that vaccines had been shipped — but without any of the material needed to use them, including syringes. "Sending the vaccines without the vaccination material is 'USELESS'," wrote Hernando Agudelo in a May 11 email to his colleagues, who said the situation was like "having a car but not petrol!!" 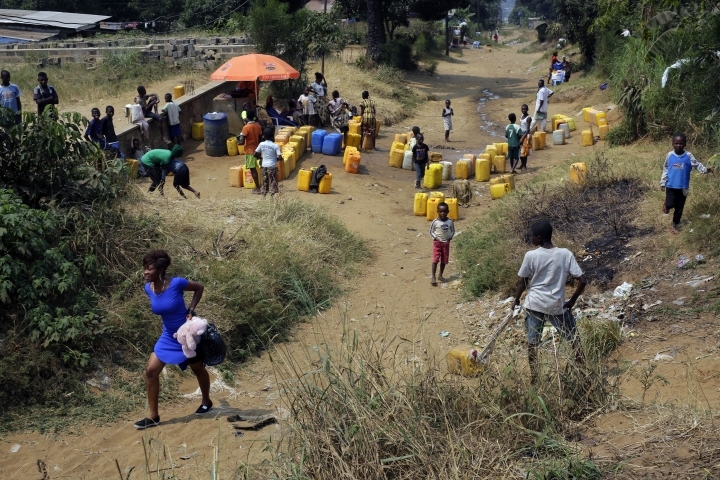 In Congo, aid workers faced another problem: how to prevent the vaccines from spoiling in the heat. "The situation encounter(ed) by the logistics team is quite alarming," wrote WHO logistician Guillaume Queyras. He described breaks in the "cold chain," that keeps vaccines between 2 and 8 degrees Celsius. Queyras said the set-up he found "will hardly guarantee the quality of the vaccine at the end of the chain." 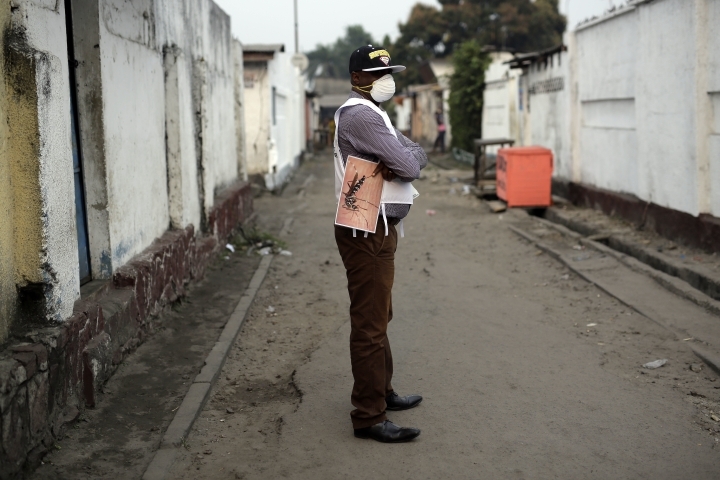 Health officials in Kinshasa have been keeping the vaccine vials at a central facility with a back-up generator. At other health centers, many keep the vaccines in solar-powered refrigerators of varying quality. From there, the vaccines are distributed to neighborhoods in plastic coolers provided by the health ministry with ice packets, though not all the packets appeared to be starting the day cold — at least one touched by an AP reporter at a vaccination site was warm. 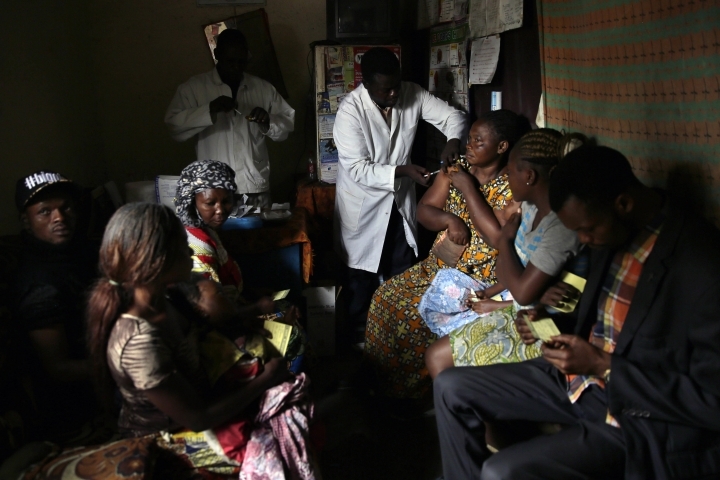 On July 8, an internal memo to WHO's Director-General Dr. Margaret Chan relayed more disturbing news: the sole laboratory in Kinshasa responsible for testing all yellow fever cases in Congo had halted operations two weeks earlier. The lab was awaiting more diagnostic materials. Without a lab to test samples from suspected patients, officials had no way to accurately track where the virus was spreading and determine which regions most urgently needed the vaccine. 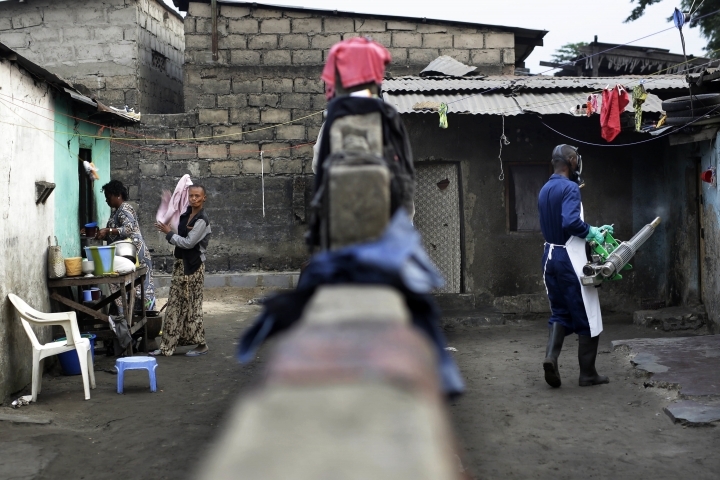 Facing pressure from aid groups including Doctors Without Borders, also known by its French acronym, MSF, Chan wrote directly to its international president, Dr. Joanne Liu, to assure her WHO was responding faster than its often cumbersome efforts during Ebola. Liu told AP she was "outraged" about the situation and had specifically pestered Chan about the unresolved lab problems. "I'm self-controlling myself right now because I don't understand why we haven't learned the very basic lessons of Ebola." In a July 16 message tapped out on her iPhone, Chan listed five measures WHO had taken to restart the lab in Kinshasa, including sending supplies and experts to deal with the backlog of untested specimens. Keen to preserve WHO's credibility and keep the lab problems out of the public spotlight, Chan asked Liu, "please do not circulate this email." By late last week, Congo's lab was still closed. Dr. Jean-Jacques Muyembe Tamfum, the lab's director, said Monday there were more than 300 samples waiting to be tested because it ran out of diagnostic materials, blaming delivery complications. "The shortage (of testing materials) was due simply to the fact that when Dakar sent the reagents by DHL, the plane stopped in Abidjan, Ivory Coast and they sent the package back to Dakar," he said. "They did not understand the urgency of the situation." For patients, the result was an uncertain wait as doctors attempted to diagnose the disease based on yellow fever symptoms alone, which are similar to those for many other diseases in the region. 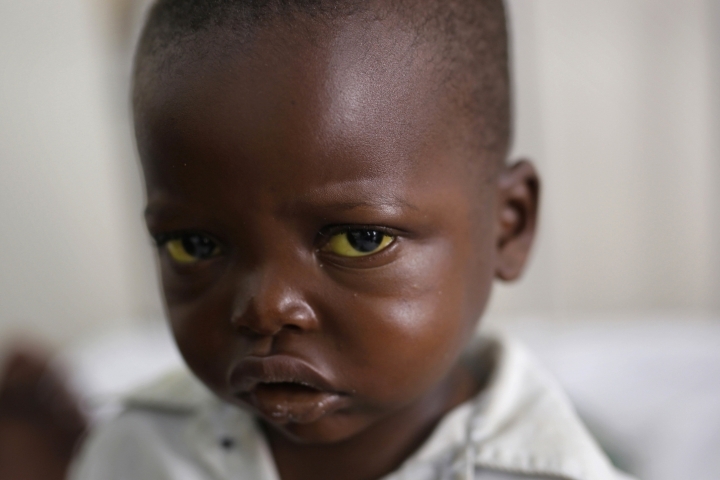 At the Chinese-Congolese Friendship Hospital in Kinshasa, little Jonathan Kangu recently sat listless and ornery, on a soiled bedsheet while doctors struggled to say for sure whether he had the disease, despite his eyes turning a glowing shade of yellow beneath his long, thick lashes. "We brought him to the hospital three times and they said it was malaria," said his mother, Joelle, who slept beside him in the ward for the last five nights as her 2-year-old battled high fevers. The toddler ultimately recovered and was discharged, but without knowing whether he had yellow fever, it was unclear if his family or neighborhood needed the vaccine. "SHOOTING OURSELVES IN THE FOOT"
Confronted with an urgent demand for a limited supply of vaccines, WHO and partners are now turning to a largely untested theory to stretch the number of shots: fractional dosing, or using one fifth of the standard dose so that five people can be treated instead of just one. 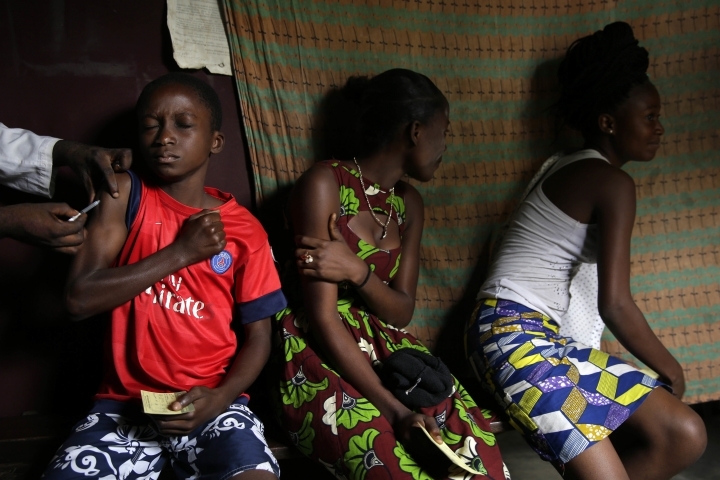 A WHO draft document in May pointed out some noteworthy concerns: a lack of data on children and people with weakened immune systems, no research on African populations and uncertainty about how long immunity might last. The document warned that diluting the vaccine should be "forgotten because of the programmatic and safety concerns." At the conclusion of a WHO-organized meeting in June, experts bickered over the wording of the fractional dosing recommendation. In a draft press release, WHO immunization expert Philippe Duclos questioned whether there was enough proof to "demonstrate" that using one fifth of a standard dose would be protective, arguing that description was "a bit strong." The draft release pointed out that fractional dosing would not work for mass preventive campaigns, but WHO staffer Roland Sutter argued that the operation was already planned. Not to proceed with the recommendation would be like "shooting ourselves in the foot!!" In a final press statement, WHO concluded that partial doses could indeed be "a safe and effective option." But persuading people to get a partial dose could prove difficult since a full dose typically provides protection for at least a decade. 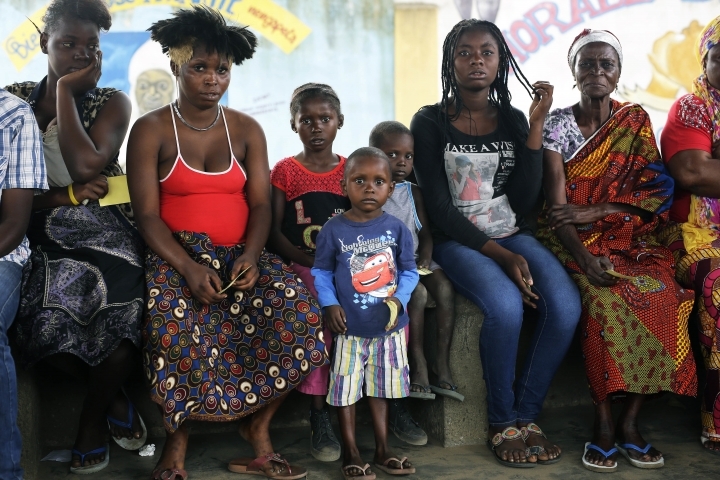 Even though the Angolan government has received 15 million doses so far, and exhausted the supply to the point where fractional dosing is being considered — it rejected the idea of using the weakened vaccines, leaving only the Congolese to use the diluted shots. 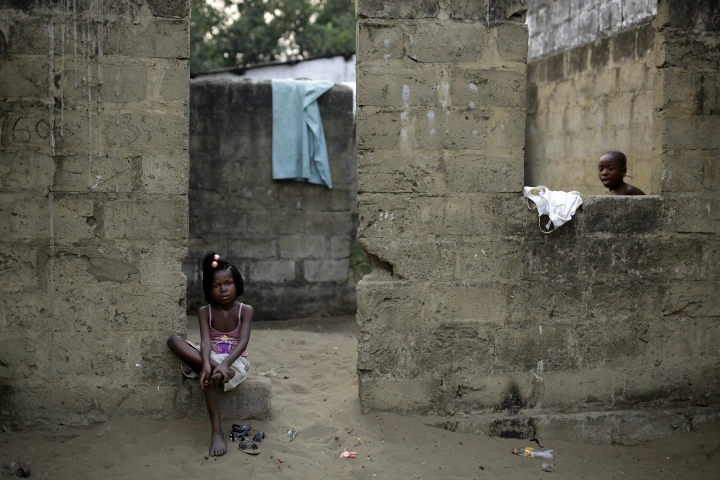 "The Congolese will not accept that — they know others are being protected for 10 years why should they accept any less?" asked Gustav Ngwanza, 44, a nurse who helped vaccinate hundreds of people with the full dose during one of the first phases of the campaign in Kinshasa. "That's not going to work here." Cheng reported from London and Geneva. Raphael Satter in Paris and Michael Astor at the United Nations contributed to this report.